Stephen’s unwavering commitment to excellence is the hallmark of his position as the President at AKUA Mind and Body. His work in Drug and Alcohol Treatment has become a staple in the industry. His experience ranges from hands-on work with clients as a Case Manager and Director of Academic Development to Administrative positions directing programs and facilities. Stephen holds a Bachelor of Arts degree in Education and is an Internationally Certified Drug and Alcohol Counselor. Stephen believes that the best way to honor his commitment to quality of care for every AKUA client is to support his team of Directors, Clinicians and Technicians, so they may dedicate themselves to the work of transforming lives. 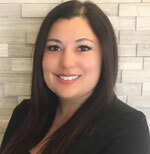 Lauren Cabaldon is a licensed Marriage and Family Therapist trained in Eye-Movement Desensitization and Reprocessing (EMDR). 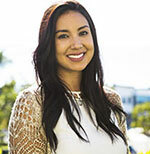 She received her Bachelor’s degree in Sociology from the University of California, San Diego, and her Master’s degree in Counseling and Depth Psychology from Pacifica Graduate Institute. Cabaldon works from the strong conviction that transformative and life-changing treatment starts with a healthy, self-aware and balanced clinical team. She utilizes an integrative psychodynamic approach when working with clients and believes that an individual’s personal encounter with the unconscious is essential for the healing process. Cabaldon is passionate about helping clients get in touch with their spiritual selves and believes strongly in the power of community and connectedness to promote the growth of the individual mind, body and spirit. 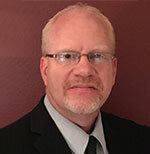 Michael Frye holds a master’s degree in clinical psychology from California Coast University. 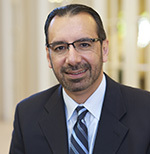 Throughout his twenty-five-year career in the field of mental health and addiction, Michael has had the opportunity to have in depth experience working in clinical environments and to have served in many diverse positions including: direct clinical practice, administration, and director of admissions and outreach. Michael has extensive experience in business development and clinical outreach with an emphasis on strategic planning and development. Over his many years in the field, Michael has developed and maintained many long-standing relationships with clinicians and mental health professionals regionally and nationally. He has held executive leadership positions with prominent industry leaders including CRC Health Group, Acadia, and Universal Health. 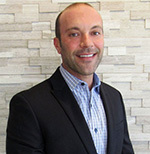 With his extensive expertise in the field, Michael provides proven success with multiple relationships around the country and has a strong passion and commitment to the field of healthcare. Cathy Pare has over eighteen years experience in Finance and Accounts. She holds a Bachelor’s degree in accounting from Columban College and is responsible for managing Akua’s banking relationships. Cathy works closely with our financial partners and auditors, and utilizes her experience and professional knowledge in the preparation and presentation of Akua’s financial information. 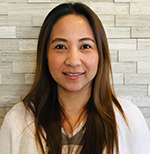 Connie Antenorcruz is a compassionate professional with more than fifteen years’ experience in leading operations, planning, developing and evaluating personnel and labor relations strategies including policies, programs and procedures to address the organization’s human resource and accreditation requirements. She considers herself a life-long learner, which has prepared her for the challenging position of Human Resources/Accreditation for AKUA Mind and Body. Connie has keen and innovative insights in the areas of talent management, organizational development, and building and motivating teams. Connie holds a Bachelor of Arts degree in Business Management and a Master of Science in Business Administration. Rebecca brings many years of experience to AKUA with a wide array of insight into the field of behavioral health and addiction services. Her passion for helping others lead her to behavioral health treatment, right out of college, where she has operated in the capacity of Supervisor, Administrator, Project Specialist and Executive Trainer. Rebecca’s strengths include best practice implementation, workflow enhancement and data management, which help her to excel in various quality improvement and compliance efforts. Rebecca is deeply invested in improving the quality of AKUA’s team through project planning, comprehensive root cause analysis, corrective action planning and organization wide training. She is passionate about the behavioral health industry and is consistently looking for ways to improve upon AKUA’s internal practices. Kenny Dewan, is the founder of AKUA Mind & Body and of MondayOne. Kenny is an accomplished leader, motivational speaker, and a business executive. With over 27 years of business experience, Kenny brings a vast array of knowledge, passion, and leadership skills to AKUA. He is also a popular motivational speaker who has been interviewed by Forbes and Builder & Developer in regards to his philosophy and business acumen. With the assistance of the best clinical team in California, Kenny has created an open, collaborative culture at AKUA, which has directly translated into an environment of health and healing for all clients. With an unparalleled commitment to excellent and active fostering of ownership across all levels of the company, Kenny has helped AKUA become a Leader in Mental Health & addiction Treatment. 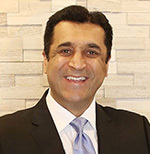 His Role at Huntington to lead Corporate Strategy including Joint Ventures, Alliances, Payer Strategy including Network Affiliation(s), and to oversee relationships with Aligned Physician Networks who operate in San Gabriel Valley on a Global Risk basis. In addition, he is responsible for Physician Integration which includes directing and leading the Strategy and Operations of Huntington’s Foundation Model: 1206(L). He has over Twenty Five (25) years experience in Physician Delivery Operations, including Medical Group Model and IPAs, mergers and acquisitions of Delivery, network development and management of Physician Networks assuming Global Risk.